Contender for New Zealand: Blackpeak Station by Holly Ford. 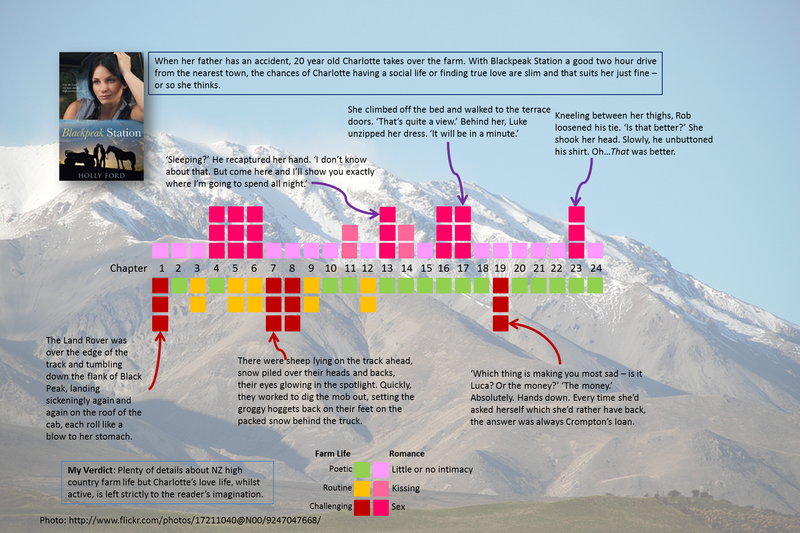 My Verdict: Plenty of details about NZ high country farm life, but Charlotte’s love life, whilst active, is left strictly to the reader’s imagination. Thank you – I love reading your posts.